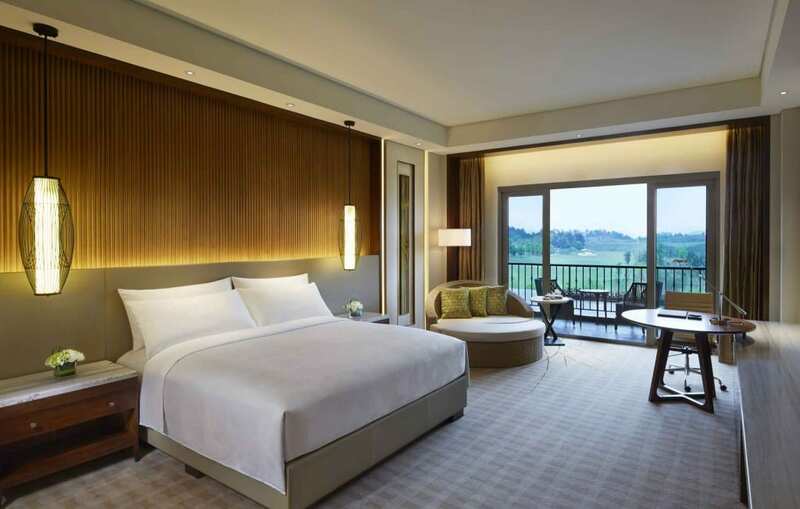 JW Marriott Hotels & Resorts continues to expand its luxury portfolio in China with today’s opening of the 228-room JW Marriott Hotel Zhejiang Anji. 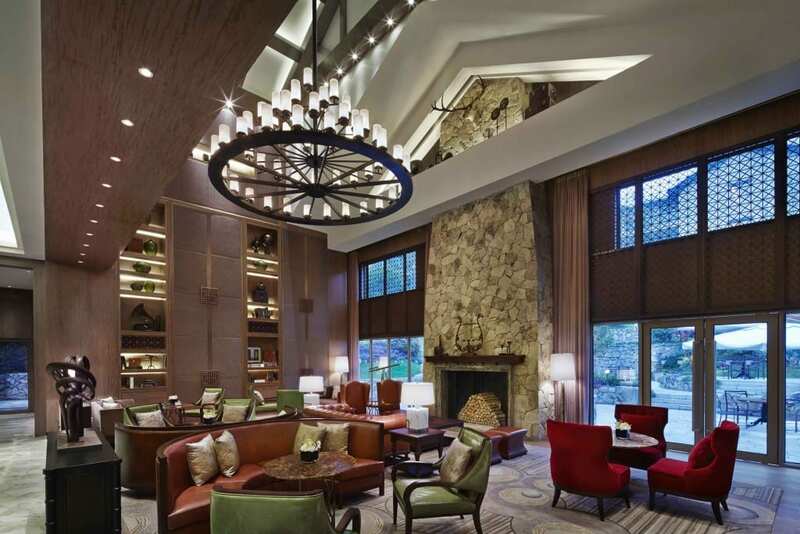 Located within the world-class Phoenix International Golf Course and close to Anji’s legendary bamboo forests, the property’s design celebrates its stunning natural surroundings and was designed in partnership with Karen Wang Interiors. A scenic resort destination for Shanghai residents seeking respite from the city’s fast pace and summertime heat, Zhejiang is known for its production of some of China’s finest white tea. Boasting a 1,800-year history of rich culture, Anji is known for its lush bamboo landscape that has inspired poets and artists throughout the ages. Situated at the heart of the Yangtze River Delta, the JW Marriott Hotel Zhejiang Anji is located a one hour drive from Hangzhou city center. A short commute from Shanghai, the property is within close proximity to several local attractions, including Anji’s Bamboo Exposition Park and China’s first Hello Kitty theme park. Each year, tens of thousands of travelers visit the Anji Grand National Bamboo Forest, where the Oscar-winning movie “Crouching Tiger, Hidden Dragon” was filmed. The renowned forest is one of the region’s most prized and picturesque sites, and is located just 15 minutes from the new JW Marriott Hotel Zhejiang Anji. The property’s 228 guest rooms were designed with neutral tones to celebrate the property’s natural surroundings and encourage ultimate relaxation. Organic accents including carved wood screens, natural materials and soft lighting take direct inspiration from Anji’s stunning landscape, while spacious en-suite bathrooms boast rain-showers and indulgent bath amenities. Accommodations range from the generous 45sqm Deluxe Garden Rooms to a range of luxurious suites. Guests are invited to explore the hotel’s two distinctive restaurants that pay homage to local, regional and global flavors. Fine dining restaurant Man Ho of JW Marriott Hotel Zhejiang Anji focuses on fresh ingredients and artistic presentation, celebrating the complex flavors of Chinese cuisine. With glittering chandeliers and original artworks from the region, Man Ho features 17 private dining rooms providing guests a more intimate setting for private events. JW Kitchen offers an all-day dining experience with tranquil mountain views and an outdoor patio. An open kitchen serving breakfast, lunch and dinner menus allows guests to watch JW Marriott’s talented chefs at work, as they create impressive fare from all four corners of the world. The Lounge is an ideal setting to enjoy a light bite, cocktail, or a steaming cup of Anji’s famous white tea. 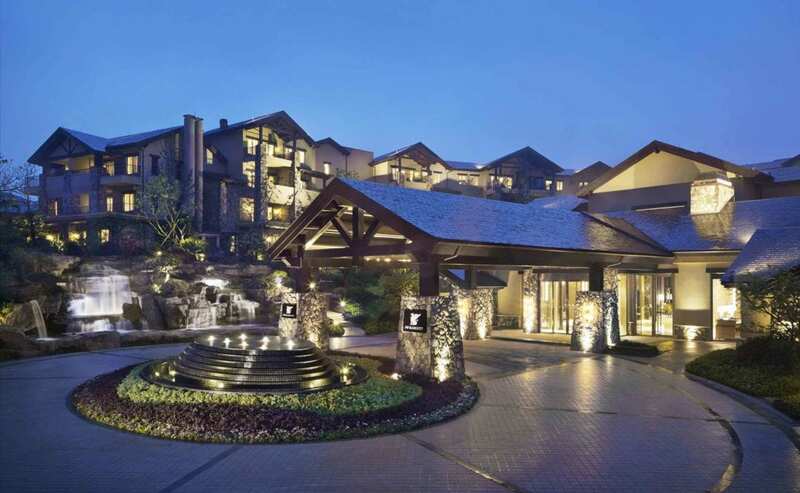 From weddings and social events to meetings large and small, JW Marriott Hotel Zhejiang Anji boasts ample space to accommodate events of any kind. The 573sqm Grand Ballroom seats 380 guests banquet style with removable partition walls to transform the space into smaller venues. In addition, five meeting rooms, each accommodating up to 80 guests, offer flexible seating plans and comprehensive business facilities. A fully-equipped Health Club offers a range of state-of-the-art fitness equipment by Life Fitness. Rounding off the hotel’s wellness facilities and linked via smart dressing rooms equipped with rain-showers and complementary bath amenities, is a 1.4-meter heated indoor swimming pool and jacuzzi.